Pepsi-Cola retiree John Young after a Faygo Book presentation at The Library of Michigan. John Young, who said he worked for 38 years in quality control for Pepsi, shed some light on the quiet negotiations that led to the 1985 sale of Faygo to TreeSweet. It was sold in 1987 to National Beverage Company. 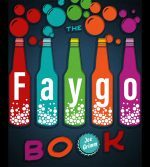 According to Young, “Of the companies bidding for the Faygo product, Pepsi was one of the last bidders, but the Faygo company refused to deal with them because they had previously got a 25-year franchise deal to produce and market Vernor’s product. I know this because I worked in the factory that Vernors ended up with. John Young spent 38 years in quality control at Pepsi. Previous Post Where can I buy Faygo?